Choosing a tile based on its color or shape is not enough, which also means that the overall appearance of a room depends on numerous other features. Similarly, making a bathroom look beautiful is not just about adding stone fixtures or expensive accessories. Rather the tiles laying pattern within the bathroom also plays an important role. The trickiest part of laying these tiles is covering up the visible joints where the wall meets the floor. These small spaces are often covered with cladding material instead of proper tiles which give it an unprofessional outcome. But to give you an idea of how you can make these joints look beautiful and create a perfect harmony in your bathroom here are five layout patterns that we have put together. Modern tile laying patterns are a combination of the wall as well as floor tiles. These tiles can be divided into three categories that are natural stone, ceramic, and fine stone. Most people opt for large square or rectangular tiles for their bathrooms because they are also easy to lay out. The geometric tiles laying pattern for 30x60 cm or 60x60 cm blocks are often chosen to be similar to the parallel approach. The biggest size available in these tiles can sometimes reach up to 120 cm. Out of all the shapes, square tiles are specially laid out using this classic installation method as it provides a refined and perfectly harmonious sequence. This photo can help you realize the kind of tiles which are suitable for the pavement a bathroom. 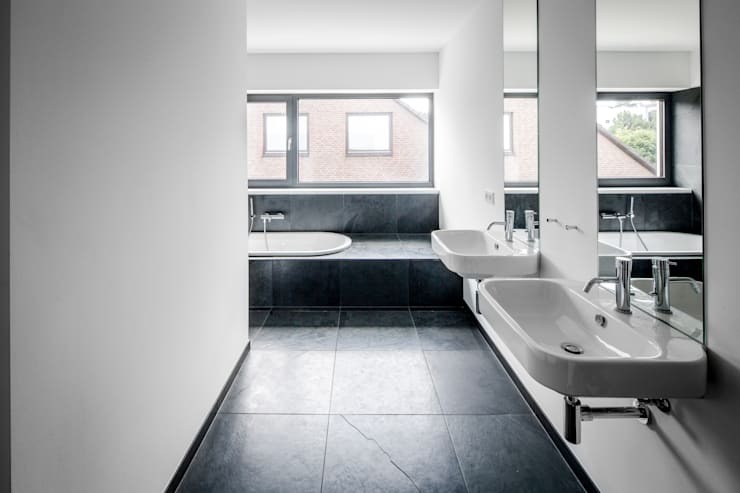 The wall and the floor of this bathroom are covered with same types of tile series which were used in two different shapes. While the floor is covered with rectangular porcelain tiles, the square ones were used to cover the wall. 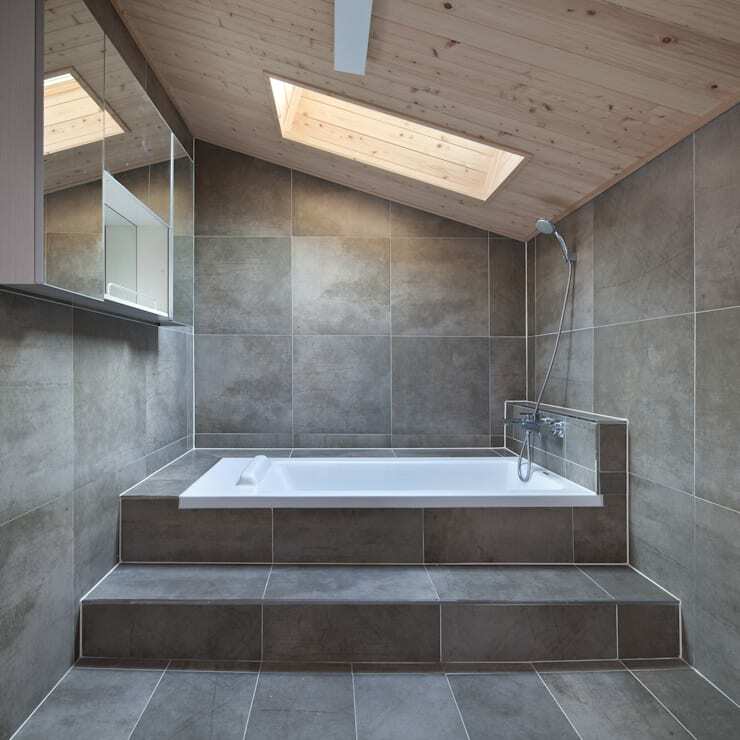 Every tile used in this bathroom reflects a dual tone appearance without any set format. So to make this layout look beautiful, the designer decided to let every individual tile work its magic. The uniqueness of this method was further emphasized by the contrasting white joint color used within the room. Another tile laying method that you can use within your bathroom can be seen in this picture. The designer has used rectangular wall tiles which resemble hardwood and are installed using a vertical approach. Tiles staggered or aligned incorrectly are a major challenge when it comes to using this method. The vertical approach has been used for years but was never considered to be a classic solution for bathrooms. 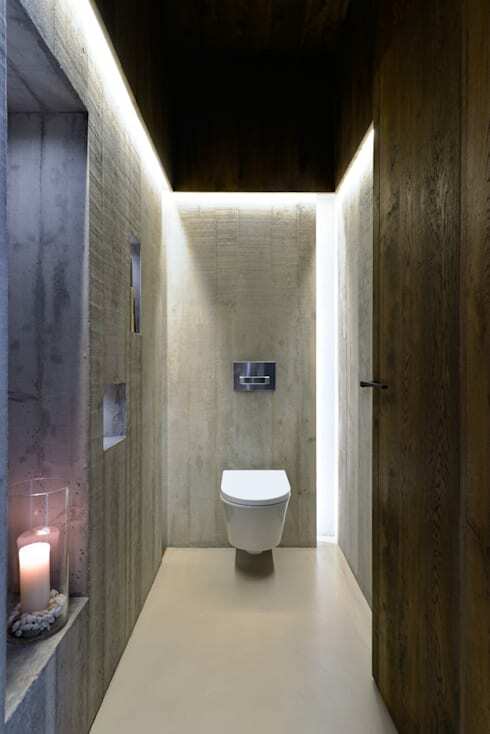 With the launch of Holzoptik style, a new floor and wall cladding is now available for bathroom designs. The best part about these tiles is that they resemble a hardwood based on their color, shape, and dimension. Regarding modern tiling pattern, this proves to be a great way of customizing the floor and walls. 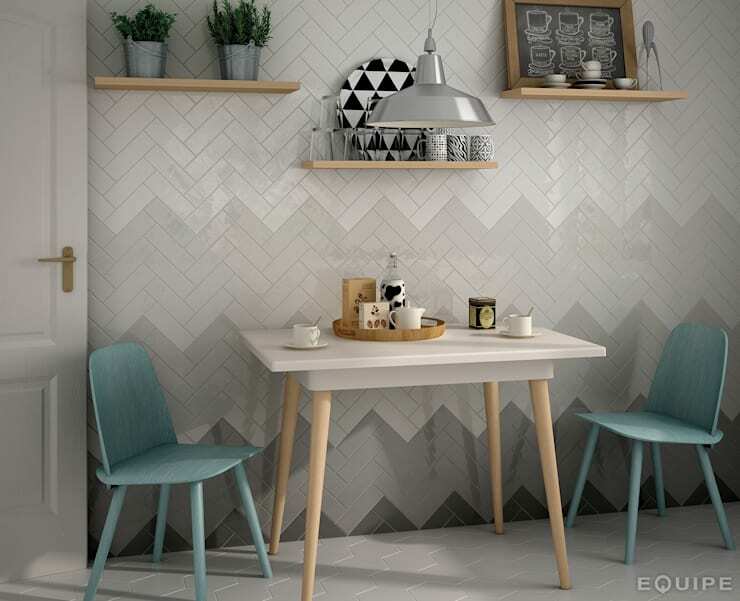 The picture showcases a tile pattern which was used for laying wooden parquet. One traditional style that still exists today is the herringbone. It is considered to be one of the most elegant ways of laying out tiles, which was formerly used only for the living room floors. To give this layout a modern touch a side-climbing design has been created known as the ship's floor, which is also very popular these days. A bathroom can also be an eye-catcher especially when you use these tiles along with your cube dressing or old German style dressing. If you are looking for something unique for your bathroom, then this can be the starting point of setting the trend. Another tile laying style that is being followed these days is the partial approach. By using this option, you are required to cover only the wet areas of the bathroom so that it is protected against moisture. In this case, these regions are the bathtub and the shower stand. This tiling pattern is also known as partially disguising the bathroom. This means for all other areas of the bathroom a simple paint job can prove to be sufficient. The main advantage of using this method is that it is a cost effective way of renovating your room. After going through so many different tiling patterns, it is safe to say that you can now use different approaches and even experiment with your tiling method. This bathroom is the perfect example of individual tiling patterns which requires you to combine two different styles to create a perfect harmony. 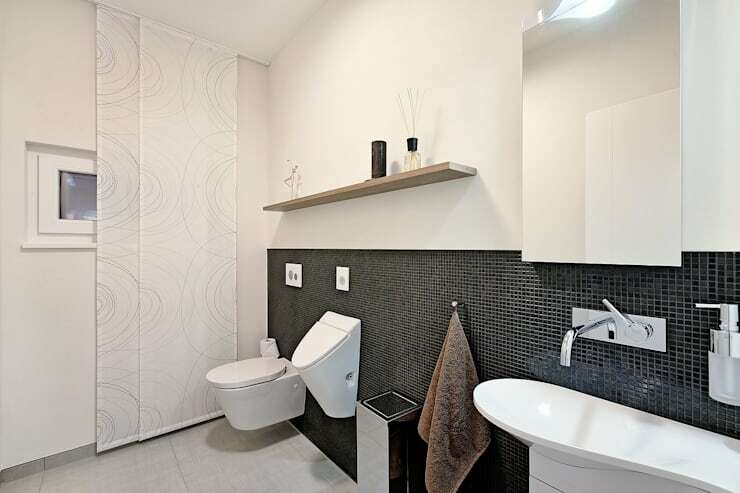 The floor of the bathroom uses a parallel approach where as the walls are built using a vertical tile pattern. This method also allows the joints to look seamless and professional. Which one of these tile designs inspired you the most?